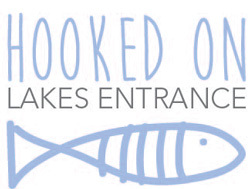 On Saturday 9 March 2019, the free 'Hooked on Lakes Entrance' festival is happening again, this year in collaboration with Lakes Entrance Events. The event will go from 10am-9pm at the Lakes Entrance Foreshore Reserve overlooking the water. This is the event for Seafood lovers and recreational anglers looking for food, fishing and family fun on the Labour Day long weekend! Lakes Entrance is a fishing mecca, home to one of Australia's largest commercial fishing fleets and popular with recreational fishers. This event showcases the wonderful array of Victorian seafood caught by commercial fishers in the Gippsland region, other local produce and great fishing spots to take the family and wet a line. A family friendly ‘Riviera Regatta’ at 4pm that will transform the foreshore into a land-based ‘boat race’ for crews of kids and grown-ups. Will the Vikings or the Pirates win the day? Who knows but it’s sure to be an epic contest that will raise a lot of laughs for all the family.